As we wind down the winter snowmobile trips, and begin looking forward to summer rafting, we’d like to introduce you to some of the incredible stretches of whitewater here in Colorado. It’s only appropriate to begin by talking about one of our favorite early season trips, Gore Creek. Gore Creek is our local favorite here in the Vail Valley. If you’ve never had the opportunity to raft Gore Creek, you need to make time! And with the high snowpack this season, this will be a year to remember! Gore Creek will be running high well into the summer. Gore Creek is special for a couple of reasons. First, it flows right through the heart of Vail Village, and the scenery is spectacular. Second, the rafting season on Gore Creek is relatively short. You have to catch it during its brief window each year. And a year like this with a high snowpack is the perfect chance to catch it at its peak! Gore Creek is fed only on snowmelt. The season begins shortly after the lifts close at Vail ski area, as soon as the snowmelt and runoff begins. May and June are the ideal times to experience the incredible whitewater on Gore Creek. 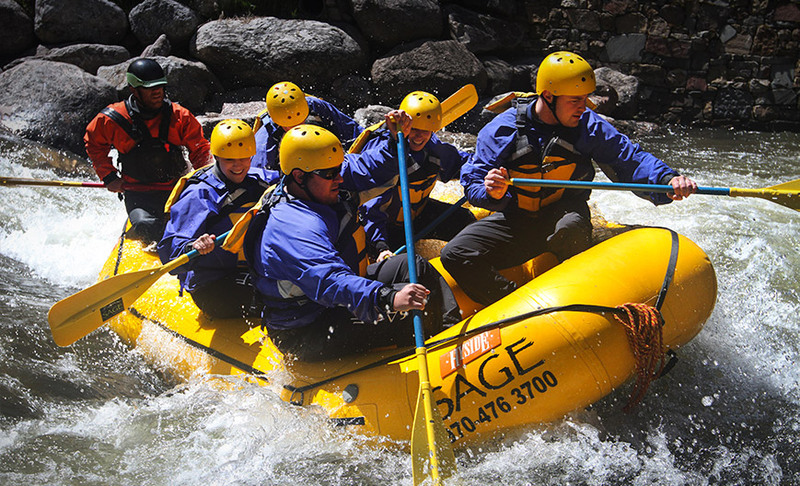 Gore Creek features awesome Class III rafting from East Vail to Lionshead Village. This river epitomizes what we refer to as, “play boating”. In addition to the fun rapids, this stretch features man-made holes and waves along the way, including the well-known International Wave in Vail Village. These areas provide opportunities to “surf” the raft and swing in and out of rapids. It would be difficult to have more fun in a raft than you’ll have right here in the heart of Vail. The scenery all the way through the upper Vail Valley along Gore Creek is what really makes this trip memorable. The towering cliffs, waterfalls, aspens, and wildlife along this stretch are incredible. Finally, one of the nice things about rafting Gore Creek is the quick transfer times. If you’re staying in Vail, you’re already on the river and just minutes from the put in. At the takeout in Lionshead, you can easily walk right back into town. If you’re staying in Beaver Creek, you can expect a quick, 15-minute drive to and from the river. With such easy access and world-class rafting right here in Vail, it’s no wonder we love this short but sweet season on Gore Creek! To learn more about our whitewater rafting adventures, please check out the Rafting Page and watch the quick video below featuring Gore Creek. Start planning your trip now! You can call us at 970-476-3700 or you can contact us online. Snowpack here in the Vail Valley and along the Colorado River watershed has been excellent so far this season! After a dry winter last year, we are happy to experience great early season conditions into the New Year. Snowmobile guests are having a blast here at our Mountain Base. Snowpack in the Colorado River basin is currently over 100% of normal, and better than 150% compared to last year. We’ve enjoyed great snowmobile conditions so far this season, and storms keep bringing new snow. Our mountain base of operations is home to 2,500 feet of vertical. We have more than 100 miles of trails on a mountain larger than Vail ski area. These trails were custom-designed by the team at Sage, specifically for our guests. And with the best grooming equipment in the business, trails are always in prime condition. 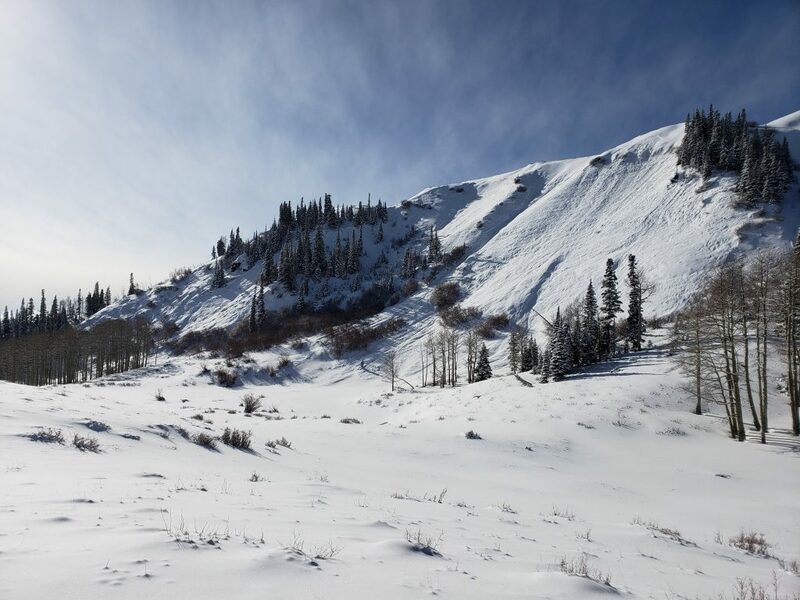 Our snowmobile trails wind through a variety of expansive Colorado backcountry habitats. Our guests enjoy sweeping views of the Vail Valley and the Eagle River Canyon. It’s the perfect place to escape from the crowded ski slopes on a real mountain adventure. With great snow conditions and a fleet of new Ski-Doo snowmobiles, we’re ready for you! By the way, in case you haven’t been on a snowmobile recently, these are not your grandfather’s smelly, noisy machines. New 4-stroke snowmobiles are extremely quiet and fuel-efficient. It is a great way to experience the Colorado backcountry. See our recent blog post about modern snowmobile technology to learn more. To join us on a snowmobile adventure this winter, please give us a call at 970-476-3700. Or, explore the rest of our website to learn more about what we offer. Early season Snow conditions in the Vail Valley have been incredible. The 2018/2019-winter season is shaping up to be the best we’ve seen in years. 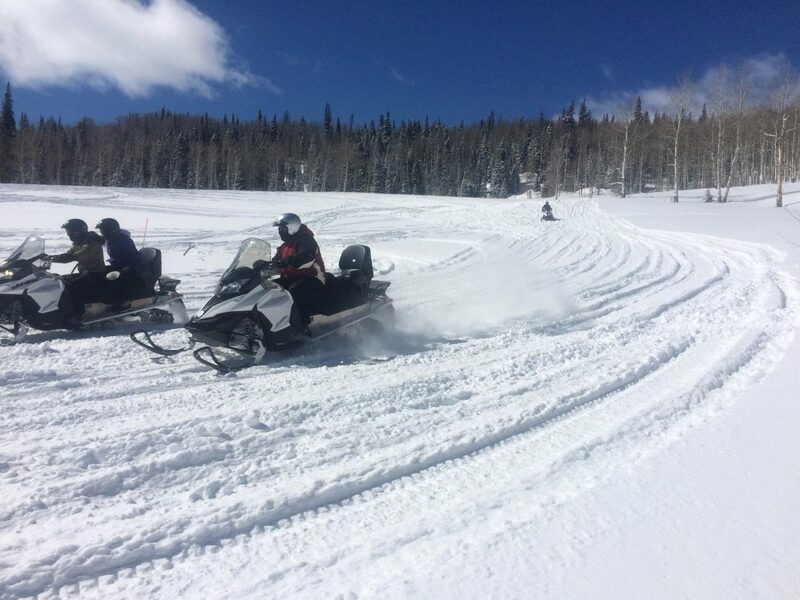 Ski areas have received record amounts of early season snowfall, and snowmobiling conditions on our ranch are outstanding. Currently, snowpack in the Colorado River basin is over 130% of normal. And it’s more than 200% above this time last year! This is the year to experience a backcountry snowmobile adventure in Colorado. 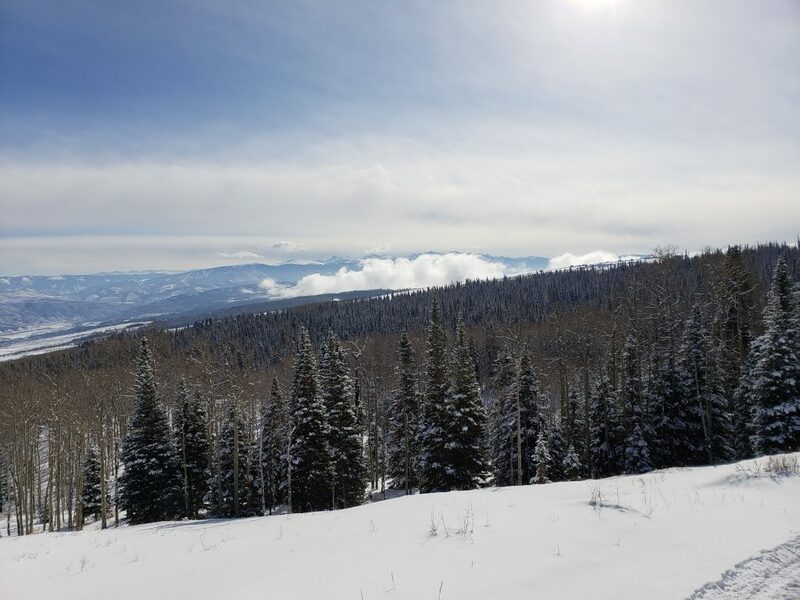 Our 6,000-acre private ranch nestled close to Vail and Beaver Creek has over 100 miles of custom-designed snowmobile trails. 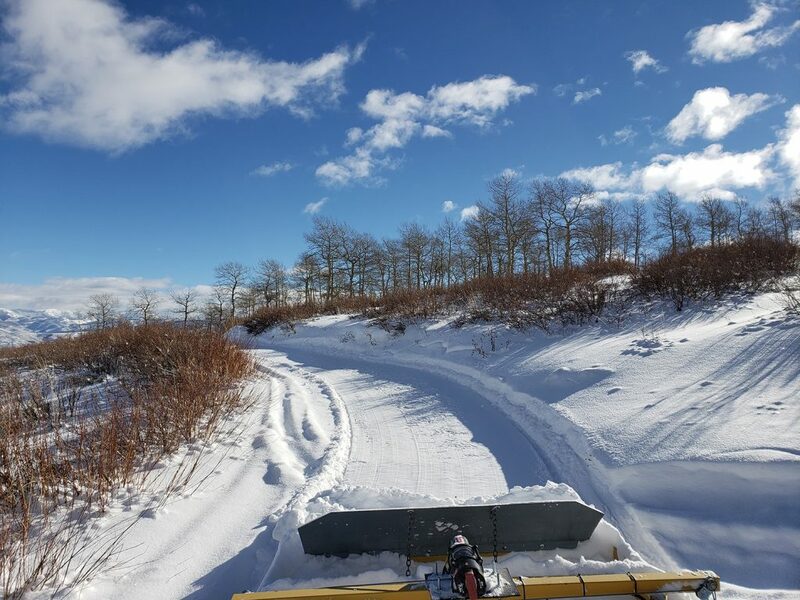 It’s an area larger than Vail ski area, and we have three grooming machines to keep trails in great shape. With all the snow we’ve had so far this season, our grommers have been busy, and trails are in excellent condition. The ranch here is looking beautiful. 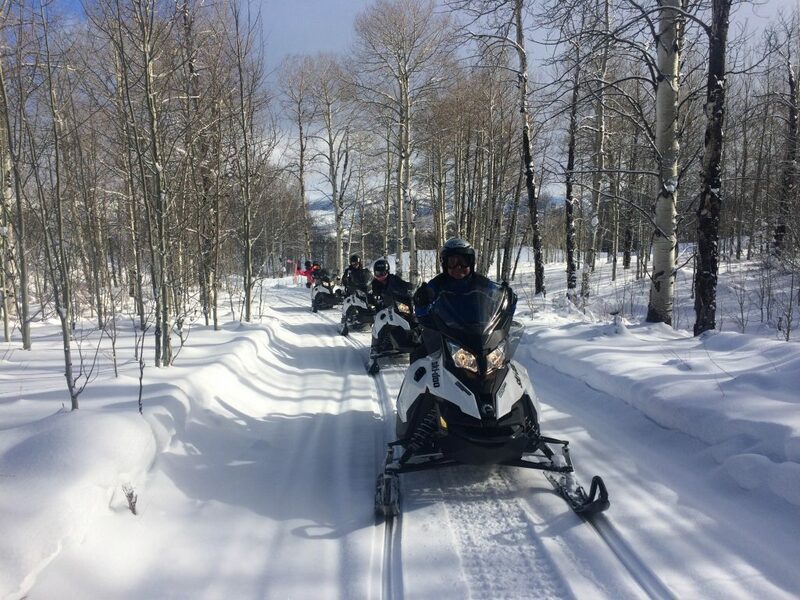 Guests are enjoying rides through beautiful snow-covered aspen groves and stands of old-growth timber. The wide-open meadows are perfect for testing the throttle on our lineup of new SkiDoo snowmobiles. And views from the ranch overlooking the Vail Valley and the Eagle River Canyon don’t get any more spectacular. 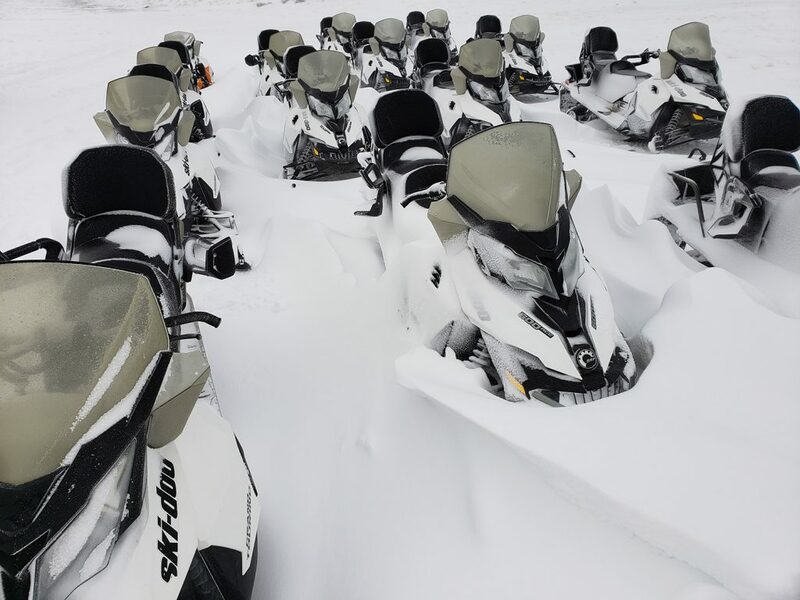 Our fleet of Snowmobiles from SkiDoo features new 4-stroke technology. These machines are very quiet and incredibly fuel-efficient. We like to brag about providing a much smaller carbon footprint than skiing. An experience here is a chance to get away from the hustle and bustle of the ski slopes. There may be no better way to experience the peacefulness of the mountains in winter. This historic private ranch is only open to guests of Sage Outdoor Adventures. There’s never any crowding here. 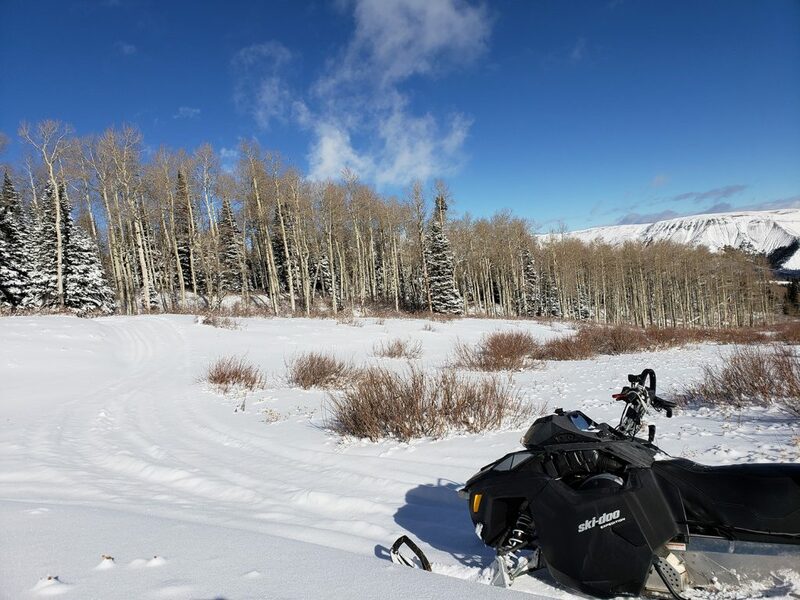 Escape the lift lines and come spend a day in the Colorado backcountry on an unforgettable snowmobile experience! 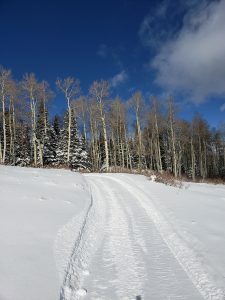 To schedule your snowmobile tour, call us at 970-476-3700 or connect with us online.